I am not a blogging convention goer. 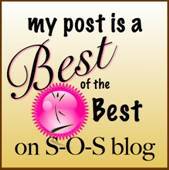 When I started blogging back in 2001, there was no BlogHer or Blissdom or Type A Mom. Then there was a brief stint where I didn't blog (or journal as we used to call it) because Billy didn't want me to. When I came back to blogging in 2006 (after taking 2005 off), it was all about BlogHer and who was going to be there and what they'd be wearing and who knew whom. None of the folks in my previous blogging circle were going and so I didn't either. Then there was the big job that required me to travel a lot (and write about travel a lot) and then there was a pregnancy that resulted in a baby. But there's a conference in Atlanta that I just recently found out about and that I'd love to attend. My other issue with the hot topic conferences is that the faces are so prodominately white and mainstream. But Blogalicious isn't. It's full of women of color and women from diverse backgrounds and sounds so interesting. I could even win a free conference pass to make going less burdensome on our family budget. I'm not sure that I'll be in Atlanta in October, but wouldn't it be so cool if I were? It'd sort of be like my blogging dream come true. We'll see what happens.